This week: A pretty light agenda. Changing the Hope Cemetery Board of Commissioners: The manager would like to make some changes in the legal requirements for the Hope Cemetery Board, so as to make it easier to have a full slate of commissioners. One change would remove the requirement that there be 1 commissioner from each of the 5 city council districts. Another change would extend the term of service from 3 years to 5; the idea is that since people end up serving decades on this board, extending the term would mean they’d have to deal with the process of getting re-appointed fewer times. 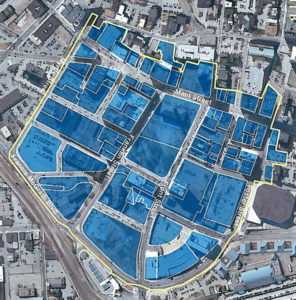 This week: The proposed Downtown Business Improvement District. 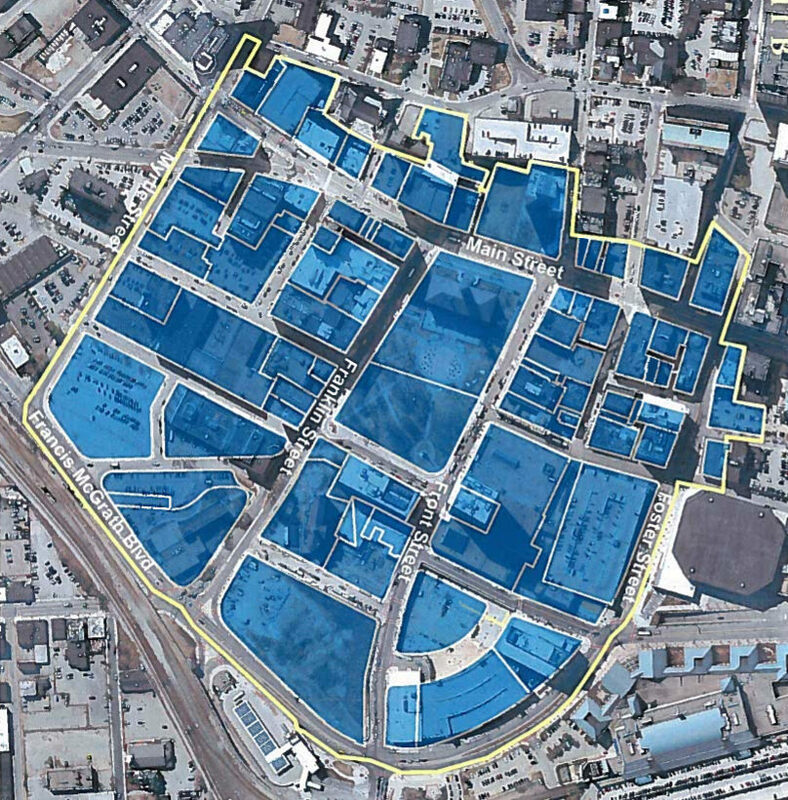 Downtown Business Improvement District: The T&G has a good writeup on this. The Council will be discussing whether or not to approve a Downtown Business Improvement District. The city would add an additional .3% property tax to properties in the 78-acre BID (including non-profit properties) and that money would be spent by a Board of Directors on things like marketing, clearing ice from sidewalks, and repairs. The representatives of at least 51% of the property value of the BID submitted petitions in favor. Public and Private Streets: These proposals will be forwarded to the Planning Board. Kristin Sundberg wants the private Martha Avenue be made a public street. Polar Beverages wants the private Woolfenden Street to be removed from the official map. Zoning Changes: New Garden Park Inc. wants part of 305 Belmont Street rezoned from 2-story commercial and very light manufacturing to 3-story commercial. Tuan Ngo wants 96-102 May Street rezoned residential to 2-story commercial. Whither the Urban Agriculture Ordinance: There are several items this week in which Councilors ask, “What happened to some old item the Council approved but the city seems to be ignoring?” For example, Councilor Rivera asks for an update on the proposed urban agriculture ordinance. Expanding the Scope of Veterans’ Affairs: Councilor Bergman would like the Council’s Committee on Veterans’ & Military Affairs turned into a Committee on Veterans’, Military and Historical Affairs. I Can Drive 25: Councilor Lukes wants a report on whether or not we should make 25mph the city-wide speed limit. Boards and Commissions: The City Manager is appointing Tracey Weeden to the Human Rights Commission, Mariana O’Brien to the Elder Affairs Commission, Lisa Malo and Yasmin Goris to the Worcester Arts Council, and Kira Terrill to the Mayor Thomas Early Scholarship Fund. The Council will vote whether or not to appoint Savvas Kosmidis to the Diversity and Inclusion Advisory Board, Marie Dicardy to the Cable Television Advisory Board, George Cortes to the Zoning Board of Appeals, and Rachel Brown to the Citizens Advisory Council. 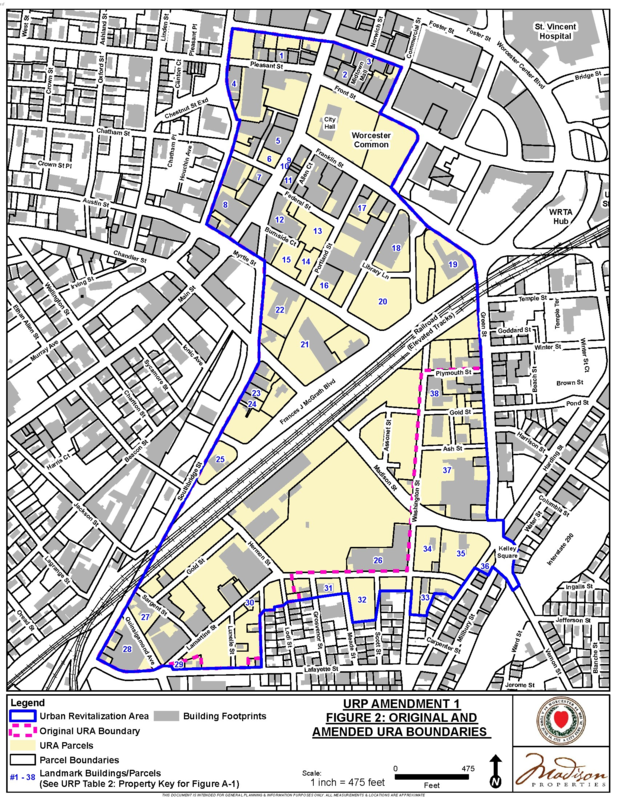 4 Winslow Rezoning: The council will vote whether to accept the Planning Board’s recommendation to rezone all of 4 Winslow, the property adjacent to Ed Hyder’s Market, to residential.